We have experience designing and developing websites for a huge range of clients in varying industries, from Startups through to large, well established, national businesses. Our experience covers a variety of platforms. However, our platform of choice is WordPress. We love WordPress as it gives us a huge amount of flexibility, but as a Content Management System (CMS) it allows you to take control of your own website, to add or edit material as you require. A simple admin area, which is accessible from any browser, means you can add and change your content on the go from any location. 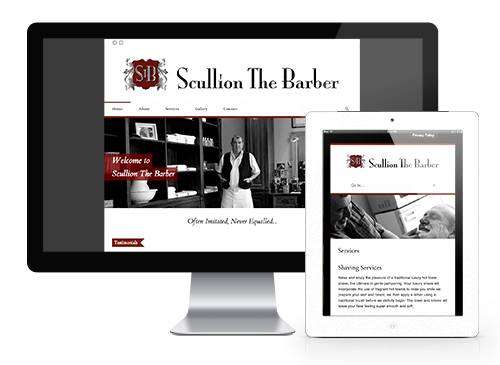 All of our websites are fully responsive, which means they are optimised to look fantastic no matter what the screen size or device your clients use. We also take care of security, hosting, SEO and your content if you wish. We know the importance of design when it comes to an eCommerce site. Making your site user friendly, easy to navigate and simple is fundamental to getting the most from it. Using a combination of WooCommerce (our shopping cart of choice) and WordPress, we work with you to build you an online store which will ultimately help generate you more sales online. As with our business websites, building them on a solid Content Management System means you can take control of your content, products and stock levels from wherever you are, through an easy to use dashboard. You may already have your own web hosting provider, who we are happy to work with to get your site online once it is developed. However, we also offer a competitively priced web hosting service if you require it. We take care of everything, so that you don’t have to deal with multiple suppliers. If you already have the content for your site, that’s great! But if not, we can work with you to produce your copywriting, photography, logo design and branding. It’s no good having a beautiful website for it to sit there and not be seen by potential customers. Which is why all of our sites come readily optimised as standard, so that Google loves them as much as your customers. We offer ongoing support to all of our clients who purchase websites from us. We’re always by the phone ready to help as we understand that your web presence is an ongoing development. We also offer WordPress training, both on a one-to-one or group basis, which can be delivered wherever is best for you or your team.